B2B Companies are under more pressure than ever before. They are struggling to minimize costs and are expected to provide even more rapid service to customers who demand immediate gratification. 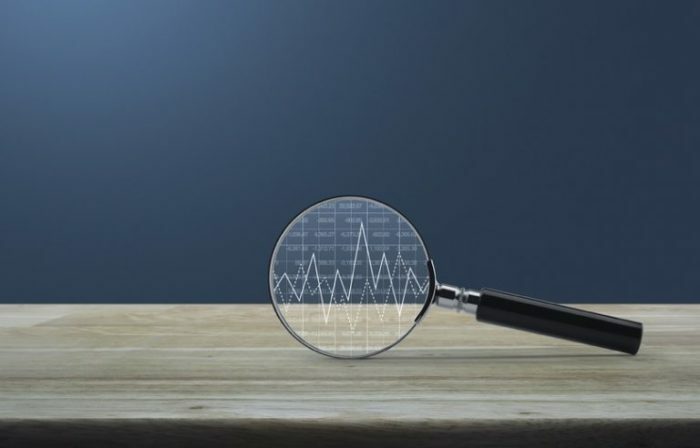 It is virtually impossible for businesses to meet these rising expectations without utilizing state-of-the-art technology and progressive growth tactics such as content marketing. It’s been proven that B2B businesses with a blog will have a much better relationship and engagement rate with their audience as well. So what if you already have a blog? Well, there are still more opportunities for you to take advantage of. The good news is that there are a number of great tools that can help grow your B2B company. Here are five of the best B2B applications on the market. Lead generation is one of the biggest challenges that brands face in 2018. A survey from HubSpot found that 80% of marketers only rate their lead generation strategies as slightly or somewhat effective. 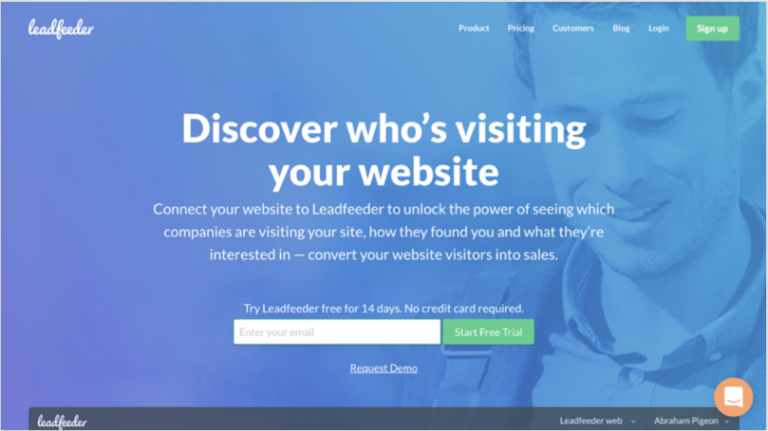 What makes Leadfeeder a must for every site owner and brand on the internet today, is that it uses Google Analytics to collect data on visitors to your website. The good news is that using a proven tool like Leadfeeder significantly increases the effectiveness of your lead generation strategy. Leadfeeder has several lead analytics and tracking features that will help you optimize your conversion rate. It is able to determine the actual companies that are visiting your site and showing an interest in your brand. This tool collects detailed data on your leads and automatically exports it to your CRM. Leadfeeder also helps to maximize the ROI of your lead marketing strategy. Another built-in and automatic feature of this tool is that it can actually score leads according to the number of times a company or visitor has viewed your site – thus making the process more timely and easier for users of the platform. This will allow users to decide which brands to focus on pitching next. Based on your lead scores, you can make a list of target companies on your dashboard and develop an appropriate outreach strategy. You can also get automatic email alerts if one of them visits your website to help gauge the effectiveness of your lead outreach strategy. It is very exciting when your company grows to the point that you need to start hiring a team. At the same time, managing a team can be very overwhelming as well. The good news is that you can use Trello to help simplify your project management responsibilities. The tool is free to use. Anybody can create an account and start adding members to their team. 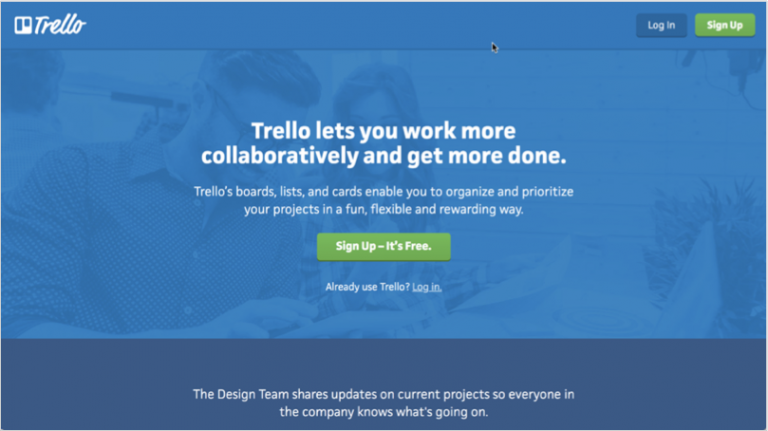 Trello is compatible with almost every device and can be viewed on screens of any size. It is more like an app than a website, which means it has a very responsive design interface. You can organize your projects by creating separate boards for each of them. You can see all items on a given board on a single screen. All you need to do is scroll horizontally. You can add new members directly through Trello or invite them through email. Either way, it is very easy to scale your team. Many project managers swear by Trello and say that it is far superior to other project management tools they tried in the past, including Basecamp. The quality of the images that you use can make or break your online brand. There are a lot of subpar logo and image generation tools online, which will give the wrong impression of your brand. Canva is one of the best tools for creating superior images for your branding and marketing campaigns. It was referenced by PC Magazine in 2014 as a groundbreaking, free image editing tool. It has exceeded even the rosy forecasts those experts set. It is a free graphics development tool that offers far more simplicity than Photoshop or other graphic editing tools. It is a great tool for creating cards, banners, infographics, newsletters, photo collages, mockups and much more. 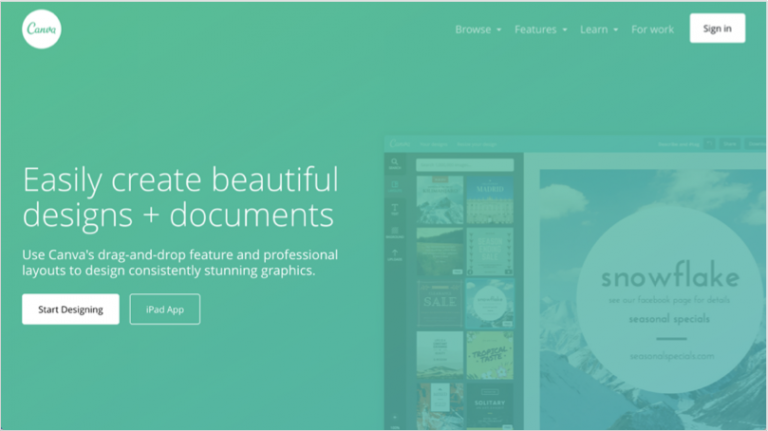 Canva is equipped with many features that allow you to seamlessly create the right graphics. While there are many other photo editor tools out there, Canva has one of the most beautiful interfaces around, which also makes it easy for almost anyone to start using instantly. Users can either begin from a blank canvas or choose from over a dozen different templates. It has a UI that makes it easy to tweak your designs. You can edit your images in either the “Layouts” or “Backgrounds” tabs until you have a design that meets your specifications. While the baseline service is free, you may need to pay for additional features. Most of the images are premium, which means you will need to pay $1 to access each of them. If you use the free service, you can get up to two folders and 10 team members. If you choose the Canva for Work plan for $12.95 a month per team member, you can have unlimited folders and team functionalities. You can also have unlimited storage and a number of other features that are not available to free users, such as magically resizing designs and setting color palettes specifically for your brand. If you want to grow a large and successful business on the internet, you need to have a continuous supply of introductions being made every day. While Google is great for accomplishing this, email is even more direct and effective. Throw 100% opt-in permission-based marketing into the mix, and you have a real winner. You can set the demographic parameters of your leads that you want to target. You can make sure that your opt-in forms will only be displayed on websites that match your target audience. You will only be charged for valid leads that specifically request to join your mailing list. You will not be charged for duplicate leads. 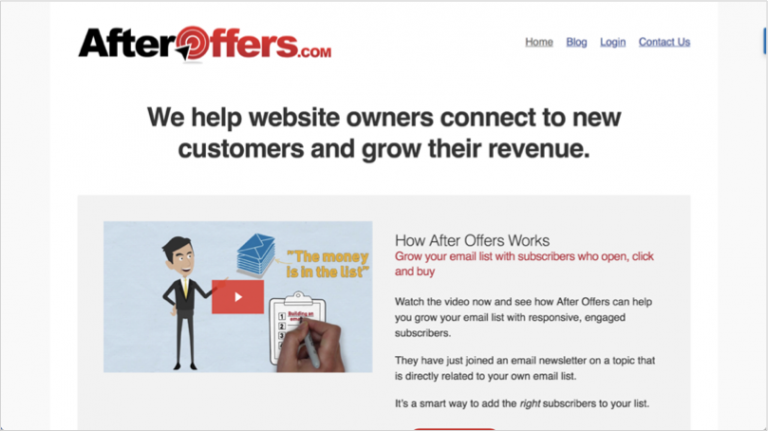 After Offers is a great tool to help you save money on your B2B marketing efforts, and turning opt-in verified leads into revenue generating customers. The option is also there to implement After Offers into any existing lead generation forms you might have, to earn additional revenue on a rev-share basis. There are loads of tools on the market that will help you expand your online presence and grow your leads. However, there aren’t nearly as many tools that focus on nurturing leads once they have joined your network. 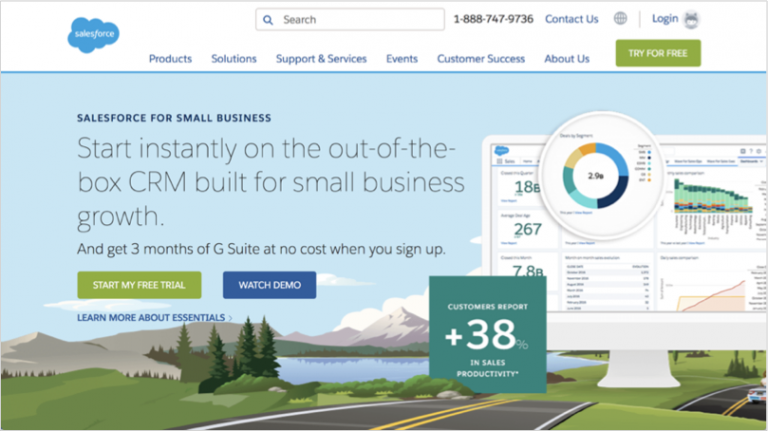 Salesforce has a number of features that help you get the most of your customer relationships. You can use a seamless communication interface, an engagement analytics dashboard, and an excellent community platform. You can also integrate a number of apps and devices into your Salesforce platform to improve functionality and merge data from various sources. Salesforce is one of the few great CRM tools that help you build a strong relationship with your customers. It has helped small businesses increase their sales productivity by an average of 38%. Running a B2B company requires a tremendous amount of time and energy. The good news is that there are lots of tools that can help you with the process. Take a look at the applications listed above to bolster your lead generation efforts, generate higher quality marketing creatives, and manage a growing team. The post 5 Must-Have Tools To Grow Your B2B Company Online appeared first on Jeffbullas’s Blog. ¿Son los seniors el nuevo maná de las marcas?